and products to protect their homes, vehicles and personal possessions. 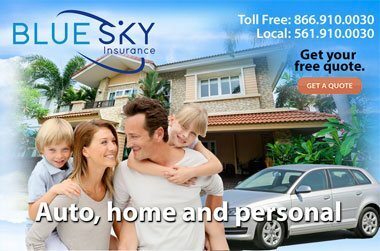 At Blue Sky Insurance®, we provide our Florida customers with products to protect their homes, automobiles and personal possessions, as well as personal liability coverages. With a variety of the best insurance carriers, we can offer you a wide selection of policies for Florida car insurance, home and RV insurance. 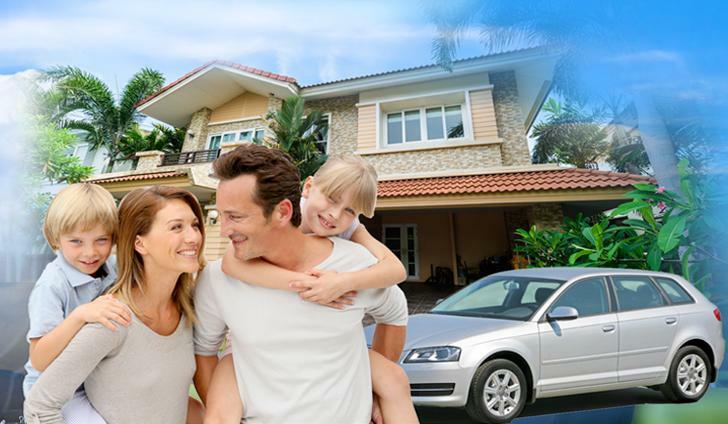 Our Florida insurance agency can obtain the lowest rates for homeowners insurance as well as any type of quality coverage you need from our vast portfolio on plans. How we serve you is as important as what we provide. First, we listen to you, then we discuss your needs and answer your questions. Next, we look at both your short-term and long-term objectives and help put your insurance and planning needs in perspective. Most importantly is that you get a quality insurance policy and then we look at how we can get your the lowest rates without sacrificing your protection. Our car insurance policies are written to insure your assets but also protect you from personal liabilities that can occur with anyone in Florida. So it is wise to make sure an incident on the road won't ever cost you your future financial stability. Our Boca Raton insurance brokers offer a several Florida car insurance policies for all types of motor vehicles form the best carriers in Florida. Homeowners insurance in Florida usually covers windstorm damage which is among the most costly parts on ever policy. 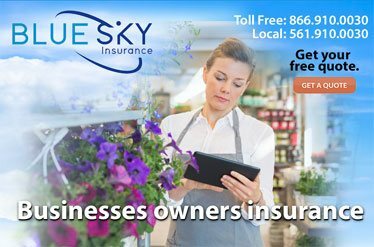 Coverage for contents, other structures, loss of use, etc adds up and that is why Boca Raton residents as well as Floridians across the state come to Blue Sky® because we analyze every part of your policy and your situation and tailor it to what serves you best. Low Boca Raton home insurance rates can be achieved when you have dedicated, experienced agents who put in the extra time it requires to reduce your rates as low as possible for a great policy with a top tier carrier. Also ask about our Florida condominium insurance rates. 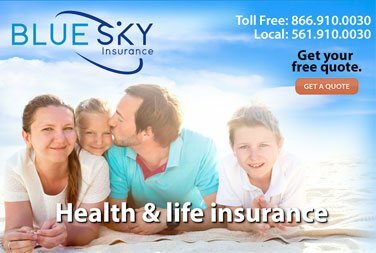 Call Blue Sky Insurance® in Boca Raton, Florida for a brief consultation so we can quickly give your your insurance coverage options and premium prices. 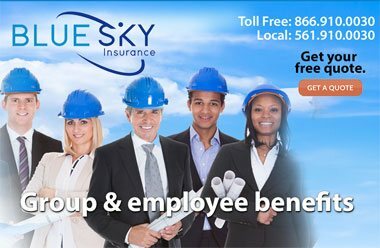 You can also complete our free quote from and get a fast response with insurance rate quotes and coverages. You can also use our online home insurance rate calculator to find out the best rates and coverage from our many insurance carriers.